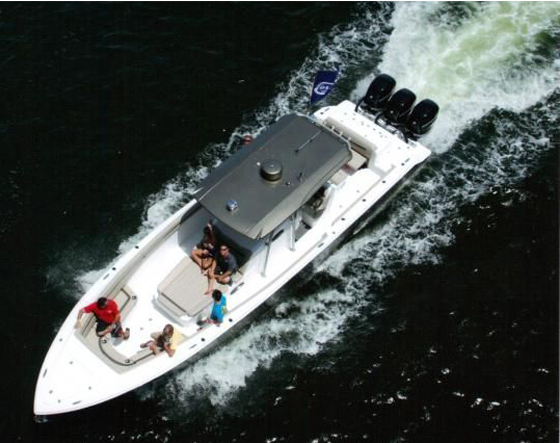 Dyna 32 is a sleek 35-footer designed for buyers getting into boating at an affordable level. The Dyna 32 offers outstanding stability and mobility and an economic cruising speed along with eye-catching exterior styling. 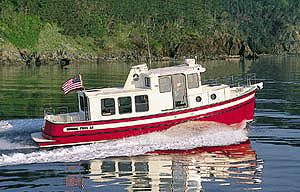 Dyna offers a wide array of options for the buyer to have the boat that best serves their boating interests. A unique feature of the Dyna 32 is the deck top that extends to the stern and shades the entire aft deck. Relax on the aft deck and enjoy a fresh sea breeze protected from the sun. 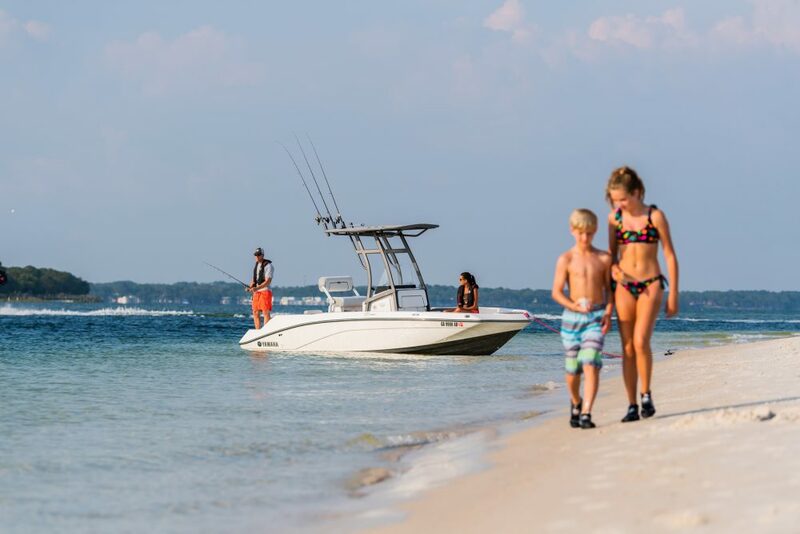 The optimized boat bottom design of the Dyna 32 contributes to efficient speed, agility and overall performance. To individualize your Dyna 32 a variety of color selections for gelcoat and glass are available upon request. The standard layout of the Dyna 32 comes with a comfortable twin bed stateroom, a bathroom, and a wet bar where drinks or light food can be prepared. (An optional second stateroom layout is also available.) Close the stateroom door for privacy or open the doors to create greater sightlines for an open atmosphere. Panoramic use of glass on the main deck provides 360-degree views and abundant natural light. The spacious salon is able to seat up to 7 to 10 guests. The salon extends to the aft deck by the elimination of stairs and the threshold between aft deck and salon. This design creates a safer space for walking around the main deck and enhances the overall sense of spaciousness. Brilliant use of space by the Dyna design team results in much more storage space than you would expect in a 35-foot yacht. 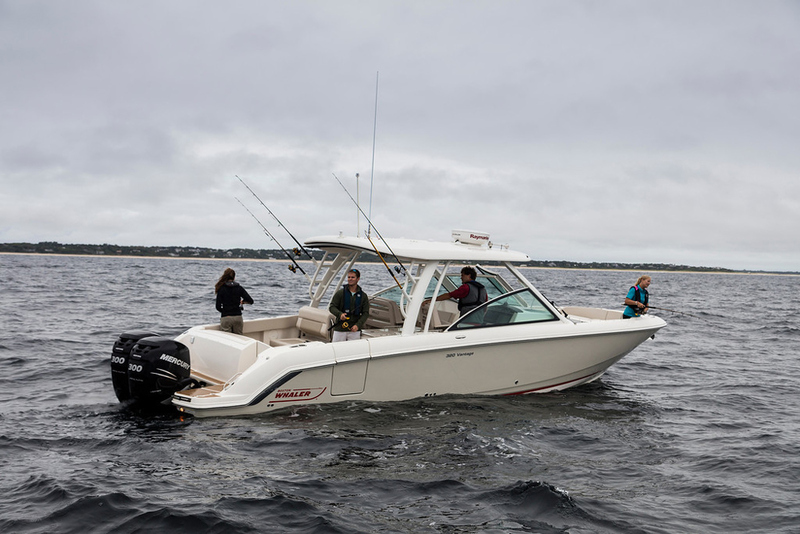 The single or twin outboard engine provides easier steering and much more mobility and convenience for the user. Outboard engines offer the owner easy access and lower cost maintenance. 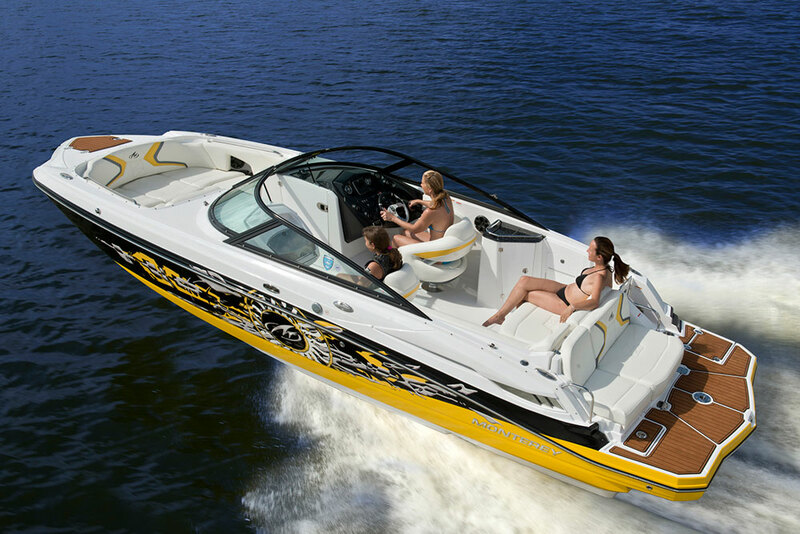 An inboard engine option is offered for those who prefer the look and convenience of a swim platform. In the tradition of Dyna Yachts, all the materials, equipment, parts, and construction details used on the Dyna 32 follow the international safety regulations. The Dyna 32 offers flexibility in design and customization for the buyer. * Since we strive for continuous improvement, this specification list is subject to change without notice.